Chakrabongse Villa in Old Bangkok was the perfect setting recently for the start of a new chapter in the long friendship between Japan and Thailand. Listening to Health Minister Piyasakol Sakolsatayadorn's opening remarks on a relationship that "reaches back as far as the 17th century", distinguished guests may have nodded as they glanced across the darkening Chao Phraya River at the lit pagoda of the Temple of Dawn, celebrated in Japanese Nobel Laureate Yukio Mishima's eponymous novel. The occasion was the alfresco signing of a joint project on universal health coverage between Thailand's Public Health Ministry and National Health Security Office and the Japan International Cooperation Agency (JICA). At the gathering were key backers of the project, including upper-house lawmaker Keizo Takemi and JICA adviser Kiyoshi Kodera. The project is the latest in a long line of mutual assistance between Japan and Thailand dating back to the 1950s, JICA vice president Kae Yanagisawa noted. Initially confined to the fields of electric power, health and agriculture, the partnership has now expanded to the social and economic sectors. The donor-recipient nature of old has also been replaced by a collaboration that allows both sides to use their experience to help other countries. For this latest project, a core objective is to help other nations achieve universal health coverage (UHC), one of the global sustainable development goals (SDGs). Thailand played a significant role in the push to make UHC a global goal, advocating for its inclusion in the list of SDGs at the World Health Assembly and UN General Assembly. To achieve UHC, countries must improve all components that make up the health system - governance, financing, workforce, service, information and medicines - as well as tackling the non-health sectors that link with those components. The resulting impact of a well-functioning UHC is far-reaching, going beyond improvements to individuals' health, to helping solve unequal distribution of affordable and quality care. Some critics dismiss UHC as an unrealistic goal that seeks a utopia of equality. More acute observers view it as an astute strategy to eradicate inequity one sector at a time, starting with health. 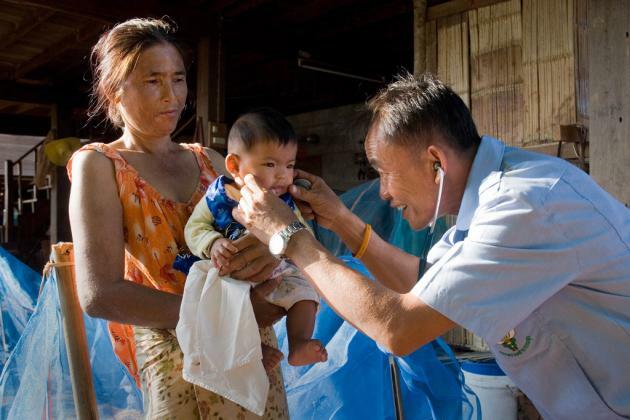 Thailand is known worldwide for achieving UHC ahead of other low- and middle-income countries. Run by the NHSO, our universal (Gold Card) scheme provides health coverage for almost 75 per cent of citizens who fall outside of other government-funded safety nets. Praised by the UN and the World Health Organisation, Thai UHC has achieved success on a par with another of our celebrated acronyms, Otop - One Tambon, One Product. century of UHC experience, with valuable lessons to offer on insurance management and the roles of central and local governments in health provision. The combined expertise of Thailand and Japan could now be an invaluable tool for those middle-income countries currently considering launching their own universal healthcare. One point worth noting is that the involvement of both Thai agencies is vital if this latest project is to succeed. Thailand is facing new challenges such as increasing healthcare costs, different benefit packages, and purchasing mechanisms among the three main schemes, not to mention the impact of a rapidly ageing population on the health system. Sustainability, Adequacy, Fairness and Efficiency - SAFE - are now crucial goals for sustaining Thai UHC. Finding a sweet spot for civil and deep conversations to reach these goals is important. And finding it will require that both the Health Ministry and the NHSO work together as true partners with a shared philosophy. In this regard, the UHC partnership project could be an ideal platform for both sides to map out routes to that sweet spot. As representatives from both Thai agencies ambled back to the Chakrabongse pavilion after the signing, conversation was no doubt already turning to this critical point. Kanitsorn Sumriddetchkajorn is director of the Bureau of International Affairs on Universal Health Coverage, National Health Security Office.